In a perfect world, you would always have plenty of notice before you need to move. 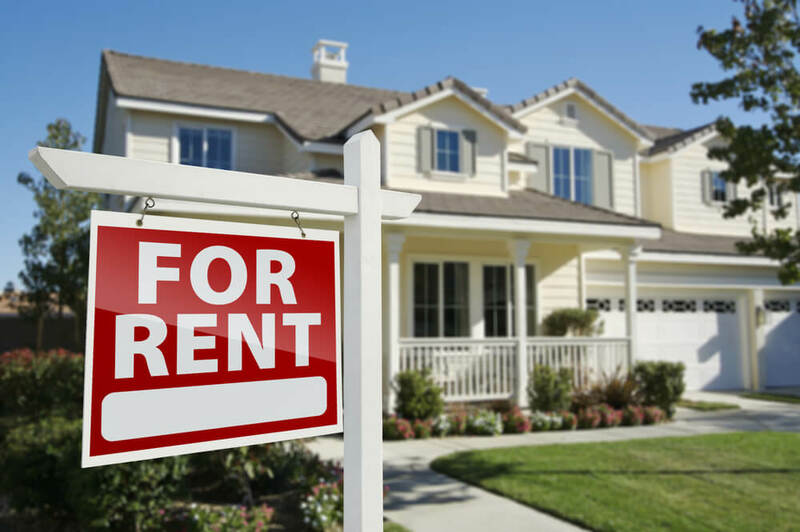 You would have ample time to relocate for work, your landlord would never sell the place out from under you, and you’d have months to pack up and prepare. Sometimes you only get a month’s notice (or less) to leave your current place, find a new one, and get all of your stuff moved over. And since the average 4-bedroom house takes seven days of full-time work to pack, that doesn’t leave you much time for coordinating the other parts of your move, like looking for a new place. For those facing a last-minute move, the usual moving checklist has to be condensed to get everything done in half the time. That’s why we’ve put together these last-minute moving tips to show you how to pack to move in a hurry and get on the road as quickly as possible. If you know you have to move in a hurry, you probably already have a deadline of when you need to either be out of your current house or into your new one…a date that’s quickly approaching. As soon as you know that you have to move, contact local moving companies to start collecting quotes. Moving company schedules can fill up weeks—if not months—in advance, so hiring last-minute movers will depend on their availability. Summer is prime season for moving, so keep in mind that you likely won’t find many available movers during these months. If you have plenty to choose from (lucky you! ), resist the temptation to hire someone based solely on moving costs. 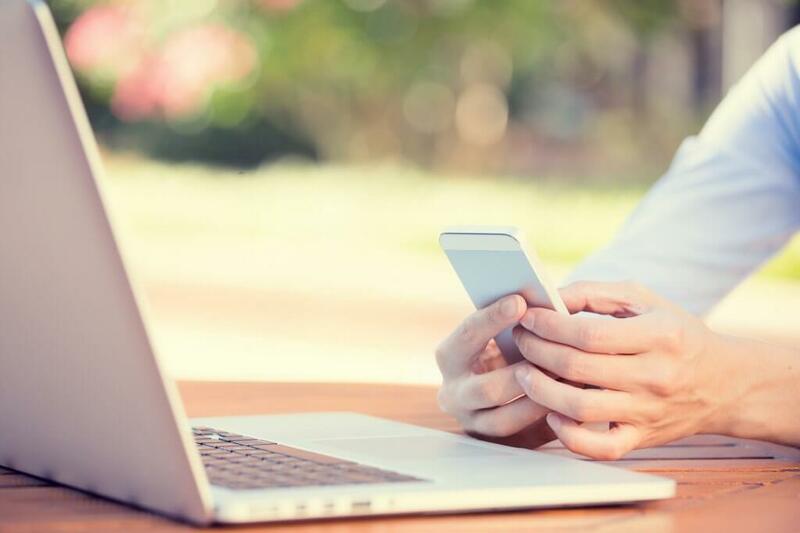 Ask friends and family for recommendations, read reviews, and ask about the company’s hiring practices to make sure you’re hiring a quality company. That low price isn’t worth it if your stuff gets broken or stolen. That’s right! If you have to move quickly, time is of the essence. Don’t waste your valuable time looking for the perfect Dream Home for your family. You’ll just end up rushing the house hunting process and end up stuck in a home you hate. Instead, trade in that mortgage for rent. A cozy rental that’s close to your job and favorite shopping places will be just fine for a year. During that time, you can start a leisurely search in your new area for something a little more permanent. And if you have to downsize temporarily, consider renting a storage facility to keep your possessions in safekeeping until you have a home for them. We usually recommend that people declutter their homes before moving day, but all that sorting and decision-making requires the one thing you don’t have: time! 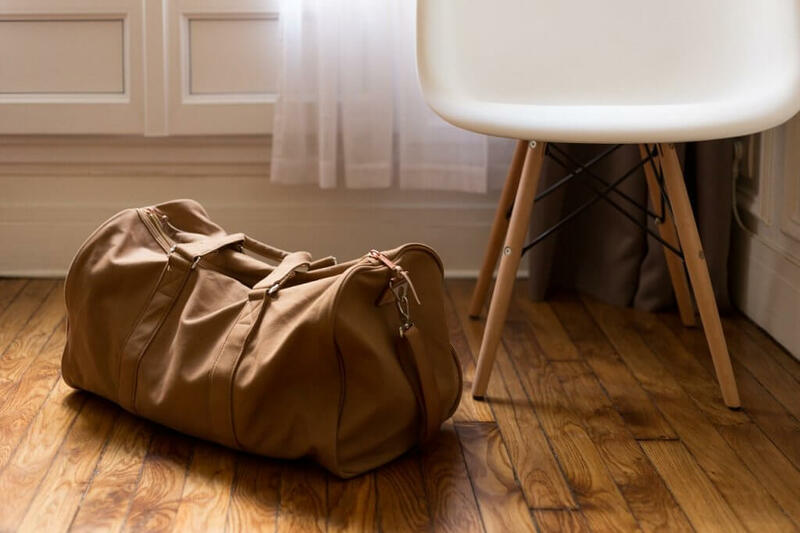 Most articles about last-minute packing tips include a suggestion to get rid of everything you don’t need (or even most of what you own!) before you move because it’s less stuff you’ll have to get on the truck. But moving furniture is just as annoying whether you’re loading it onto a moving truck or schlepping it out to the curb. Plus, once you get rid of it, you’ll have to spend a lot more money to replace the item once you’re in your new place. If an item is definitely trash or you know you won’t be bringing it into your new home, go ahead and toss it or send it down to Goodwill. But if you’re not sure, don’t waste time hemming and hawing over the fate of that end table, just pack it! You can always get rid of it later. When you’re moving house in a hurry, it’s easy to get disorganized and miss a few steps. But such haphazard packing could leave you scrambling for the toothbrushes on your first night in the new place. Coffeemaker, coffee, and other related supplies (or instant coffee for a quick pick-me-up). After the stress of a last-minute move, you’ll probably be unpacking for a while. Having all the essentials at hand will make those first few weeks a little easier. When it comes to last-minute moving, “quick” and “cheap” don’t usually go together. 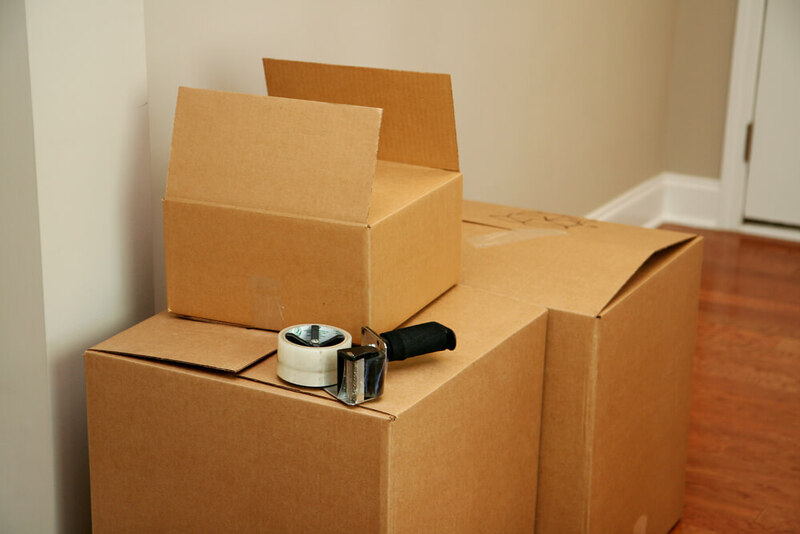 Expect to pay for new moving boxes from a moving supply store rather than collecting a few used ones at a time. Time is a luxury you don’t have, and it’s more important that you get your boxes together quickly than it is to save money on them. However, there’s a good chance that you already own plenty of containers that you can use to pack up your house last-minute. 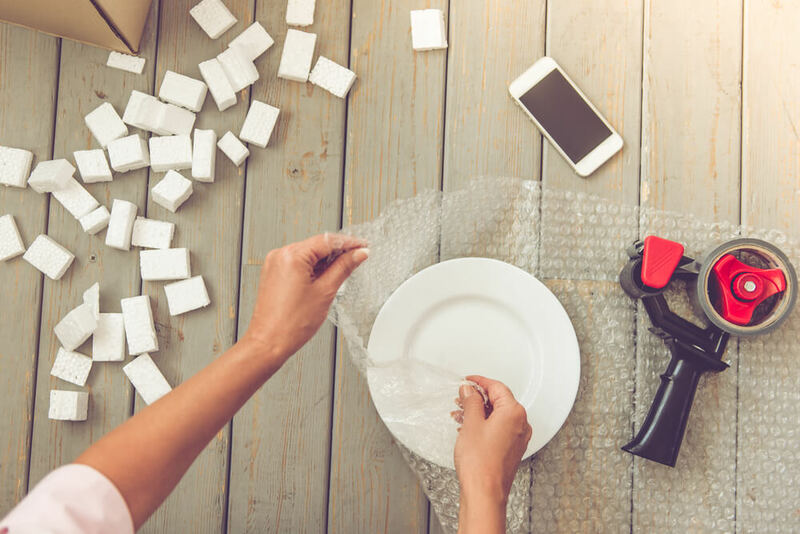 Suitcases, laundry baskets, and other containers can stand in for cardboard boxes; towels, sheets, and blankets are excellent replacements for bubble wrap. 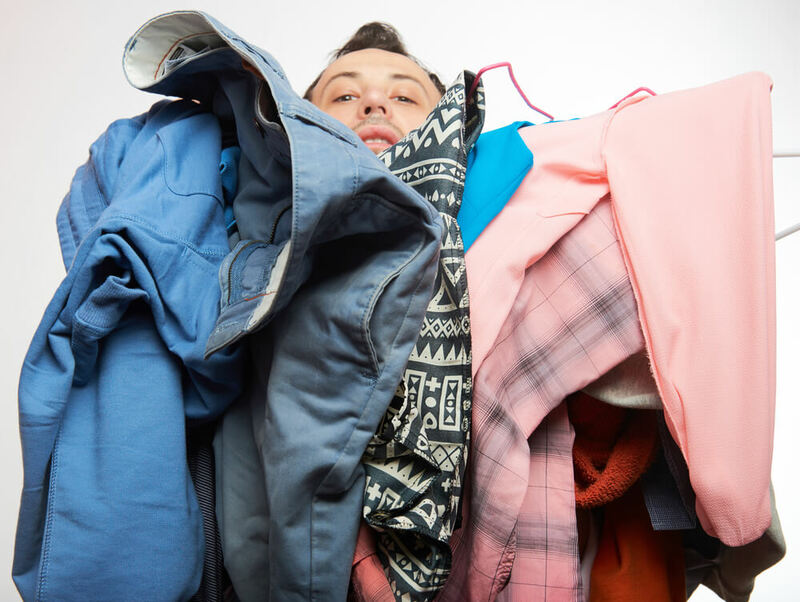 When it comes to moving clothes, don’t waste time taking them off the hangers and folding them neatly. Leave them on the hangers, gather them up in a garbage bag, and tie the bag tightly around the hanger hooks. Same goes for your drawers. As long as they aren’t filled with breakable items, you can simply wrap some plastic wrap around it so nothing falls out and pack it on the truck. If you’re hiring a moving company, check with the crew before loading these onto the truck. They may ask that certain receptacles remain in your personal vehicle. If you have a full month before you move out, you might consider renting reusable bins to pack your things. You won’t have to drive around to collect them or dispose of them when you’re finished. Another bonus? They can be cheaper than buying cardboard boxes and they’re better for the environment. Whether you have a month to get out of your house or a day, you want to move fast, but the key here is efficiency. Knowing how to pack to move in a hurry is about packing safely more than it’s about packing quickly. Don’t pack so fast that you risk harming your belongings (or yourself). Take the time to protect your most valuable belongings (those things you can’t afford to replace) against damage as you’re packing. Wrap breakables in bubble wrap or unprinted newsprint. Pack dishes and books vertically on their sides. Cover upholstered furniture to prevent stains and tears. Another factor when packing quickly is the time it takes to carry everything. If you’ve overstuffed your boxes with heavy items, you and your moving crew will waste time with lifting, carrying, and possibly even re-packing them. A good rule of thumb is: light items in big boxes, heavy items in smaller boxes. When it’s time to load the boxes onto the moving truck, lift with your legs, use a dolly, and get a partner to help carry the heavy things. You need all hands on deck to move in a hurry; now is no time to throw your back out. 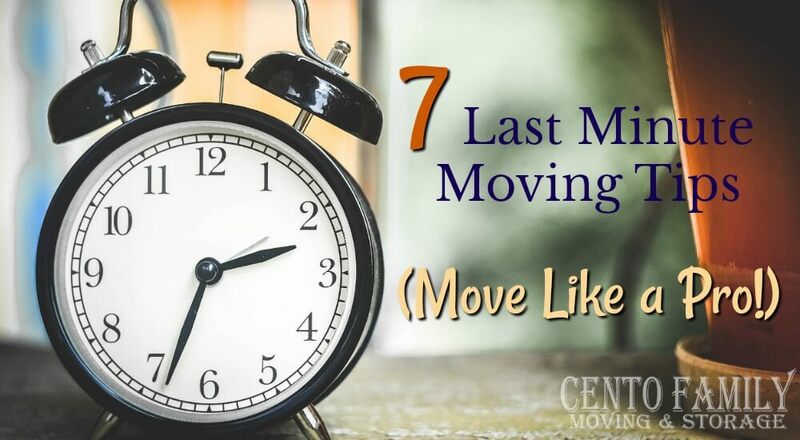 No list of last-minute moving tips would be complete without this one! Moving your entire home is never a walk in the park, and having to do it under a time crunch is even more stressful. So get as much assistance as you can in the weeks leading up to your move. See if your friends can help with disassembling furniture and packing boxes. Ask your mother-in-law to watch the kids and pets so they’re not underfoot. If possible, take an extra day or two off work to kick your packing into high-gear. If you’re able to hire local movers to take care of the packing or other moving services for you, even better! Since they’re used to packing all day, the move will go a lot quicker. And with any move, staying organized is the key to keeping the whole move under control. Start a moving binder to keep track of important paperwork and other moving-related documents. Carefully label each box with its contents (“dishes,” “Jackson’s toys,” “board games”) and number them (so you’ll be able to tell if a box is missing). Once you’re done, make sure to reward your family for all their hard work. Having a prize at the end of the race can help motivate everyone to work their hardest. It doesn’t have to be anything big; going to the movies, ice cream sundaes, or even a new toy can be enough to keep everyone’s spirits up. Packing your whole house and moving in less than a month may not be a cakewalk, but it doesn’t have to be a nightmare, either. Following these seven last-minute moving tips will ensure that you’re out the door and on the road in no time. But however quickly you have to move, make sure you call Cento Family Moving and Storage for your free quote. Our experienced movers can take your family across the state or across the country with ease.